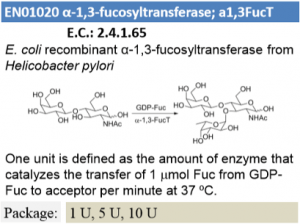 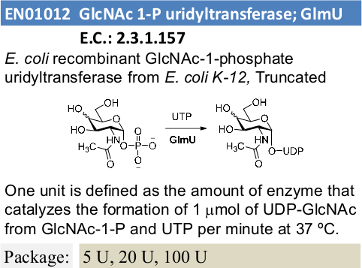 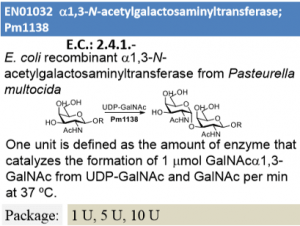 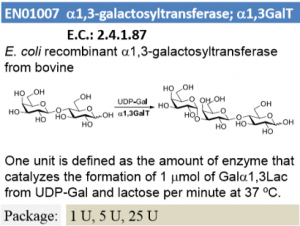 One unit is defined as the amount of enzyme that catalyzes the formation of 1 μmol of GlcNAc-1-P from GlcNAc and ATP per minute at 37 °C. 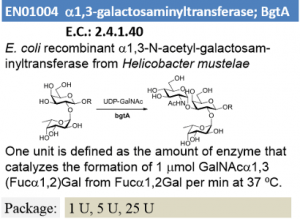 Applied and Environmental Microbiology, 2007, 73, 6444-6449. 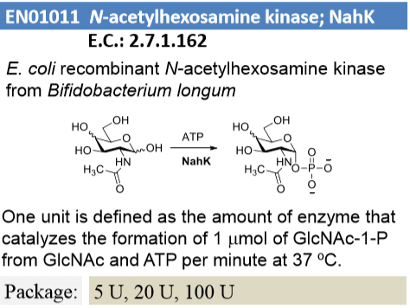 Bioorganic & Medicinal Chemistry Letters, 2009, 19, 5433-5435.